Take advantage and get rid of that unsightly gap or that ill fitting denture that has been bugging you for ages.You can even have implants that will replace full dentures with fixed bridges. Imagine having a full set of your own teeth again- no need to take them out at night and put them in a glass next to your bed! The latest addition to Create Changes is our digital scanner- the only one of its type in Wales. 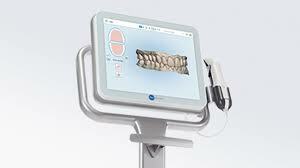 No need for a mouthful of gagging impressions, how about just scanning your mouth with our camera and e-mailing it to the laboratory. Just one of the many innovations for our patients. Click to let us know what you want and we will see you soon!